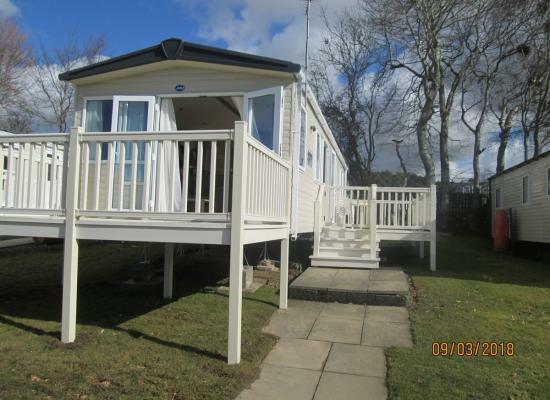 A luxury 2 bed caravan which SLEEPS 4. It has French doors to the front leading to a veranda. 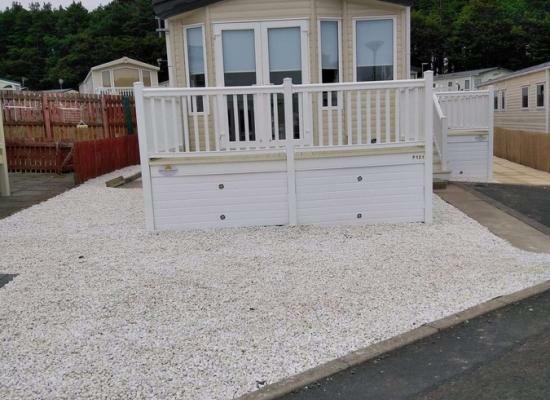 It also has side decking with furniture and locking gate for the safety of young children. The master bedroom has a king size bed with en suite toilet. 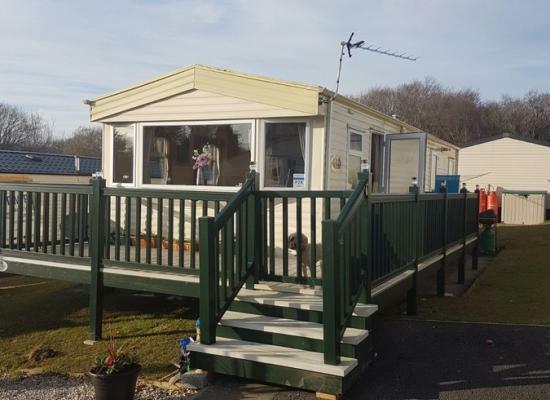 Our 3 bedrooms caravan for hire sleeps up to 8 people and is situated at Sundrum Castle Holiday Park. The caravan is situated a short distance from reception area. For a holiday park that has entertainment and facilities for all the family then Sundrum Castle is a great choice. Situated near Ayr in Scotland you are not that far from a good range of attractions aswell that are worth visiting during your holiday at Sundrum Castle Holiday Park. Some of the facilities on-site include indoor pool, mini golf, 2 clubs, restaurant, amusements, evening entertainment and much more. For the kids there is a kids club to keep them occupied allowing you to sit back and relax throughout the day. As Sundrum Castle is only 6 miles from Ayr town centre it’s the perfect base from which to explore Ayrshire and the many attractions it has to offer, plus Glasgow is only 40 miles away for a day out.